Nurse entrepreneurs have so much expertise to share – and need to be able to present themselves with polish and clarity. In this session, Pat will take you by the hand to guide you through writing principles that affect everything you write. 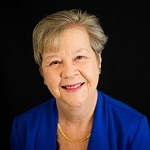 Pat joined the National Speakers Association in 2008 and has taught for NNBA under 3 presidents. She is on the editorial board for National Speakers Association in charge of the writing segments for Speaker Magazine. An encouraging college professor suggested Pat turn her graduate school paper on battered women into an article, which was published in 1980. Since then, Pat has written or edited over 800 books, chapters, online courses, case studies or articles and thousands of blog posts. Pat started a highly successful legal nurse consulting business which she ran for 28 years before selling it in 2015. During that time, she wrote and proofread thousands of reports. Now she is a ghostwriter and editor – some call her a content creation queen.